The Range Master Upper Assembly is a stand alone upper assembly for those wishing to have the convenience of having a different profile pusher block (MGWSP10, MGWSP20, MGWSP30, and MGWSP50) mounted for quick access without having to swap out blocks on the main Sight-Pro or Range Master tool. 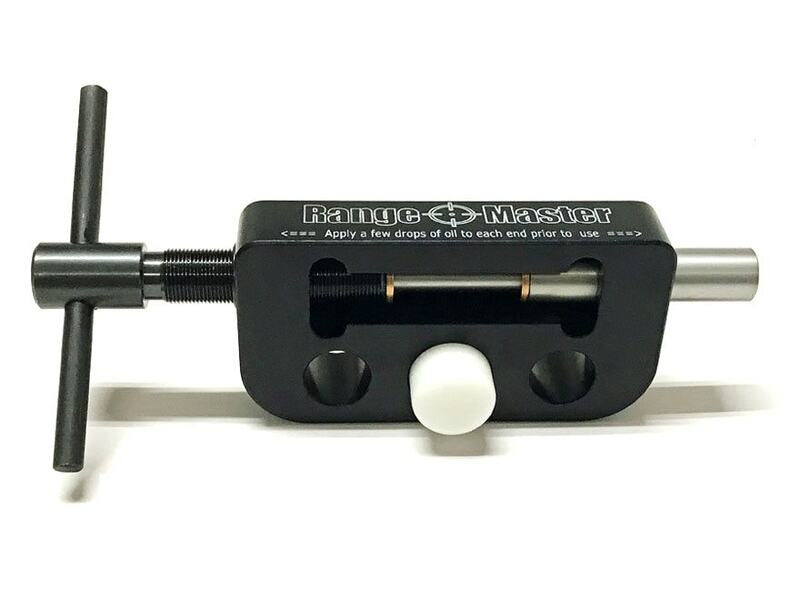 It's more compact and light weight than the full size Sight-Pro "Upper" so it's handy to mate with the Sight-Pro "Lower" when taking to the range. This assembly does not come with a pusher block.